A classic French style created by renowned metalworker Xavier Pauchard, the Tolix A Chair is perfect for summer BBQs and stylish interiors. Made from powder-coated stainless steel, the Tolix A Chair is stackable and showerproof. Sturdy, comfortable and iconic, the Xavier Pauchard Tolix Chair adds an element of industrial chic to your home. Go for a set of four in a single colour for a sleek, fresh look or mix colours for a bolder contrast style. Xavier Pauchard was a functionalist who was inspired to create a chair that could be used almost anywhere. The Xavier Pauchard Tolix A Chair was the result. A beautiful, practical piece of industrial furniture engineering that was originally created as a bistro chair for stylish French cafés. The versatile appeal and classic looks of the chair became instantly popular and are made using pioneering galvanization techniques. 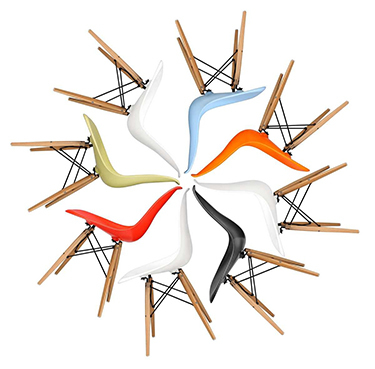 The Xavier Pauchard Tolix A Chair is a design classic showcased at MoMa and the Pompidou Center.